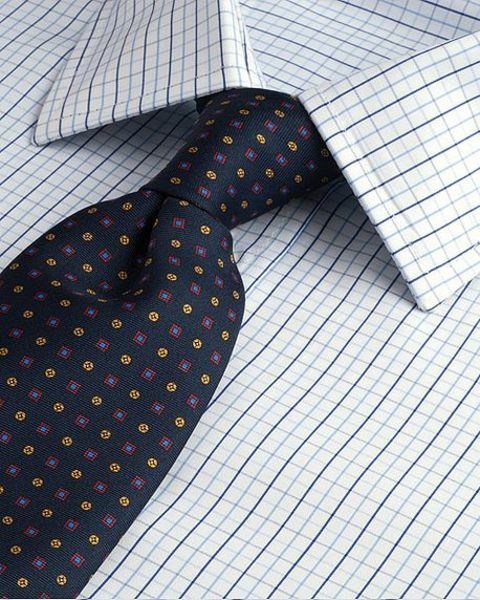 classic blue checked mens shirt. Machine washable. Classic double cuff shirt. Generously cut from pure two fold cotton poplin with four piece yoke and single needle stitched armholes so no puckering seams. This double cuff shirt has long shirt tails that stay tucked in, and a classic collar.